How do we prevent more teen suicides? Terri Erbacher, clinical associate professor in the department of psychology at the Philadelphia College of Osteopathic Medicine, looks into this question. Dr. Erbacher is a clinical associate professor in the School Psychology Program at PCOM. A New England native, Terri moved to New York to pursue her B.A. degree from Hofstra University before relocating to Philadelphia to pursue both her M.Ed. and Ph.D. degrees in School Psychology from Temple University. As a Certified School Psychologist and Licensed Psychologist, Dr. Terri has worked for the Delaware County Intermediate Unit (DCIU) since 1999 and is delighted to have joined the PCOM faculty in 2007. Dr. Terri’s expertise focuses on counseling high school students, supervision of School Psychology Interns, and most notably, crisis prevention and intervention, grief and trauma, as well as assessment and management of suicide risk. Dr. Erbacher also conducts trauma evaluations for adjudicated youth in the juvenile court system. Dr. Terri is a Trainer for NASP’s PREPaRE Model of Crisis Prevention, Intervention and Recovery in Schools, is an American Association of Suicidology Certified School Suicide Prevention Specialist, and is a certificated as a Grief and Traumatic Loss specialist. Dr. Erbacher is past President for the Philadelphia Chapter of the American Foundation for Suicide Prevention and past Chair of the Delaware County Suicide Prevention Task Force. 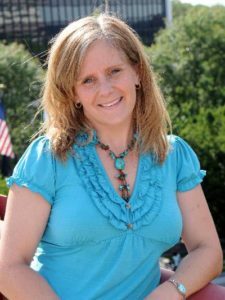 She currently serves on the Board of Directors of Survivor of Suicide as a Clinical Scientific Advisor and serves on the Executive Committee of the Pennsylvania Youth Suicide Prevention Initiative. Dr. Terri is an author, distinguished speaker, guest expert in the media, and often consults and responds to local school districts in the aftermath of a critical incident. Dr. Terri created and is the editor of a suicide prevention newsletter that has reached readers throughout Pennsylvania and beyond. She is the lead author of the important and innovative text Suicide in Schools: A Practitioner’s Guide to Multi-level Prevention, Assessment, Intervention, and Postvention. As the mind-body relationship is particularly important to her, Dr. Terri is also a Certified Pilates instructor or you can often find her hiking in the woods, kayaking, or simply spending time with friends and family. Suicide is the second leading cause of death for youth ages 15-24 years and the third leading cause of death for 10-14-year-olds. Because children and adolescents spend so much of their time in school, teachers and administrators have an important role to play in suicide prevention. Knowing the warning signs surrounding suicide and what to do if one is concerned can potentially save a life. Warning signs for suicide are often hidden and are best detected by those who have known the child for some time. Changes in social, behavioral or academic functioning are the greatest signs that something is wrong. Teachers may also notice a student becoming more withdrawn, neglecting self-care or losing interest in activities they once enjoyed. In today’s technological age, students may make comments alluding to suicidal thoughts and behaviors on social media that need to be explored. Most social media sites now have methods through which concerned users can report concerning statements made by others. Suicide screening, risk assessment, and monitoring policies and procedures are essential for all schools. These protect students from falling through the cracks, but also protect the school in regard to liability. If a student confides these thoughts or behaviors in a teacher or staff member, that student should be thanked for their trust and assured they do not have to suffer alone and can get help. Adults should encourage students to open up to a mental health professional—they may feel they are breaking a student’s trust by sharing information, but If he or she is not provided this assistance, they may begin to feel even more hopeless, seeing suicide as the only option. It takes a village to keep students safe.